There are dozens of fantastic choices for a great day trip from Athens. There’s a stretch of coast to explore, beautiful villages to encounter and of course there are those nearby islands. 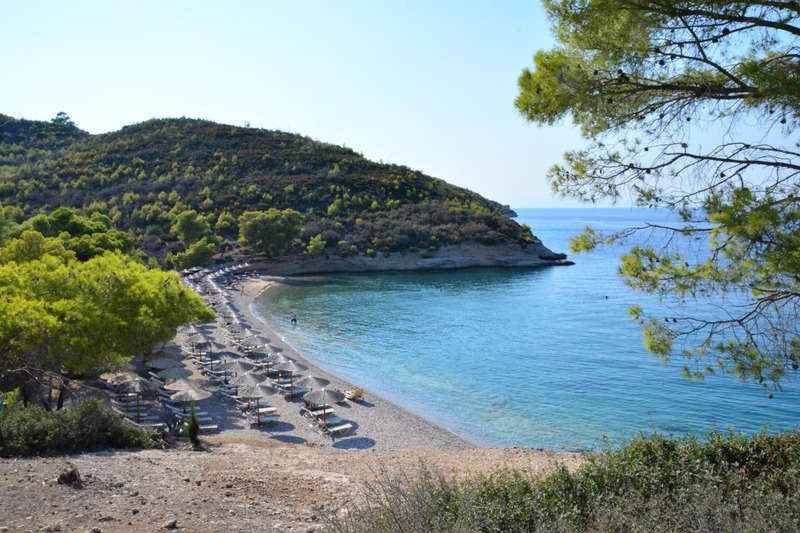 This island beach is a short day trip from Athens. Read on to find out where. However, a few choices stand out to me as the best. Here’s my list of great day trips from Athens. 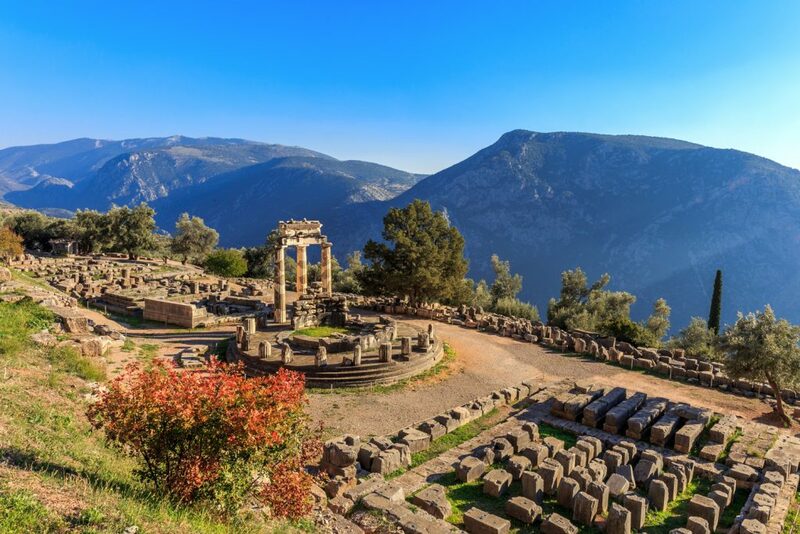 Delphi is one of the most popular and most important archeological sites in the country, a worthy day trip from Athens that takes you to a unique UNESCO World Heritage Site. 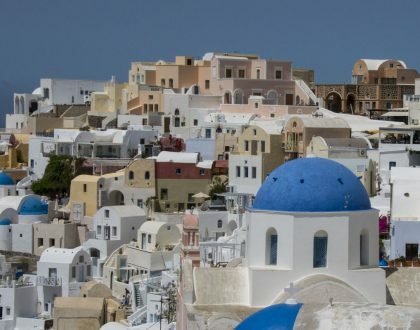 This town sits 100 miles northwest of the Greek capital. It actually sits on a on pine-fringed mountain called Parnassos, which is pretty spectacular. From here you’re within reach to equally spectacular views of the Gulf of Corinth. Set between the sea and the mountains is where the ancient Greeks built what they believed was the center of their world. A city of sanctuaries where a mystical oracle was located. According to Greek mythology, Zeus sent out two eagles to find where the “navel of the world” was and they ended up in Delphi. Like many places in Greece, there is a fantastic energy here. The ancient Greeks built their sacred temples in Delphi for a reason! While here, visit the Temple of Apollo. Also check out the Delphi Archeological Museum where you can admire artefacts dating back to the 15th century BC. Highlights at the museum include the Charioteer of Delphi and the Sphinx of Naxos. Another great day trip from Athens is Nafplio. Nafplio was the first capital of Greece when it became a country the early 19th century. 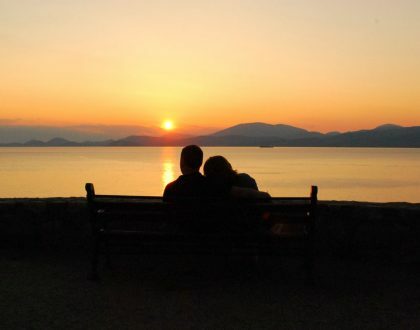 It is just beautiful and in my opinon – romantic! Picture bougainvillea drenched stone pedestrian paths, quaint homes and buildings with Frankish, Venetiand and Turkish influences. There’s a great sea view and castles to explore. There’s enough to do to fill your day! Nafplio is full of things to do. 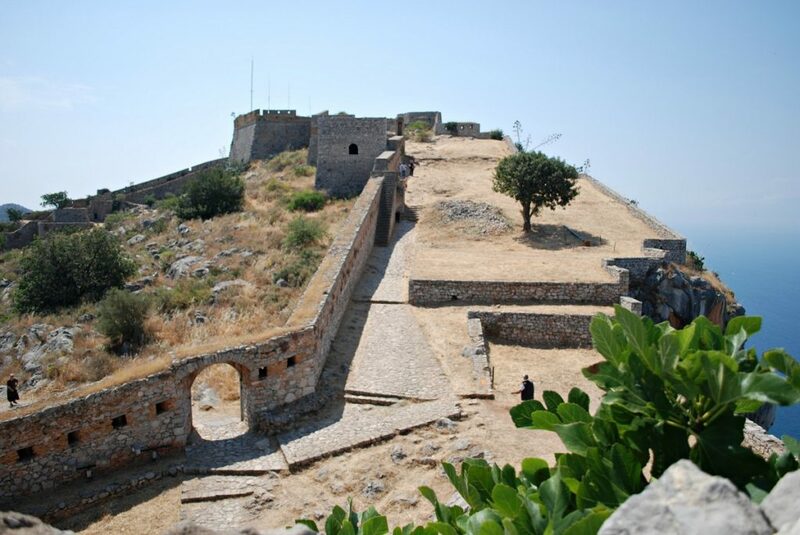 I highly recommend visiting one of Nafplio’s three castles: Palamidi, Bourtzi and Acronafplia. The old town couldn’t be any better situated: right on a peninsula that juts out onto the gulf. The summers are full of energy as visitors to the town frequent taverns, bars, and cafés right on Nafplio’s seafront promenade. Sunsets are great too. You might like it so much you’ll want to stay after the famous sunsets here. There are many hotels to choose from in the area, so you can continue exploring. 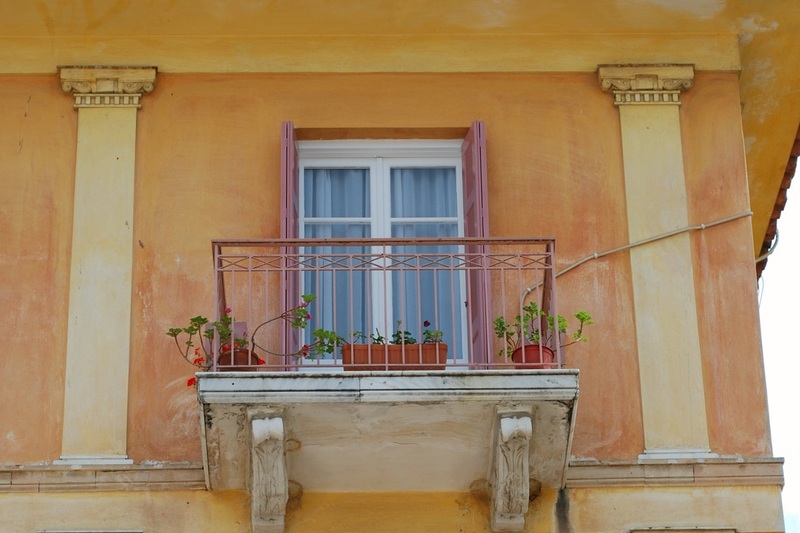 Nafplio is a very special town within reach of Athens. Just east of Nafpio is another great day trip from Athens, a town called Epidavros. If you stay at one of the area hotels in Nafplio you can explore Epidavors the next day. What you’ll want to see here is an ancient Greek theatre built in the late 4th century B.C. It is famous for its perfect symmetry and flawless acoustics. Many of my friends have tried it doing this to test that theory. You can drop a pin in the center of the orchestra you can hear it drop to the ground from any spot in the theatre. I’ve never gotten to actually go to a performance here. So, if you happen to be in Athens and love theatre, look up the annual Epidavros Festival. Some of the most famous actors in the world have performed live theatre here. Why not? This is the country where drama was born more than two thousand years ago. attracts some of the best actors looking to perform there. The above towns make great day trip choices but so do the Greek islands. Yes, you can go for the day! The closest islands to Athens are called the Saronic islands. You can reach them in about an hour via ferry. It’s such an easy trip, you just might want to book one of the hotels on those islands in advance, so you can stay for another day. Another option is to island hop to a few of them over a few days’ time. Each of the Saronics have beaches, ancient ruins and historic sites. Aegina is known for its fantastically preserved Temple of Aphaia. Poros has a great view from its historic clock tower. Agistri has swimming coves and pretty beaches. 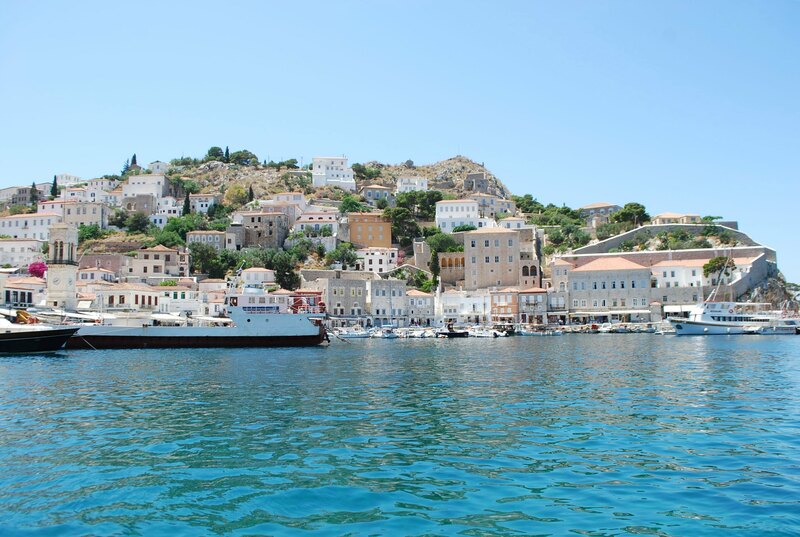 Hydra, where no vehicles are allowed, has one of the most charming ports in all of Greece. Hydra has a charming port! Spetses is simply elegant with beautiful mansions and a rich naval history. You can’t go wrong. Plus, if you want to avoid heavy crowds, these islands aren’t as touristy as the Cycladic islands (think Santorini and Mykonos). 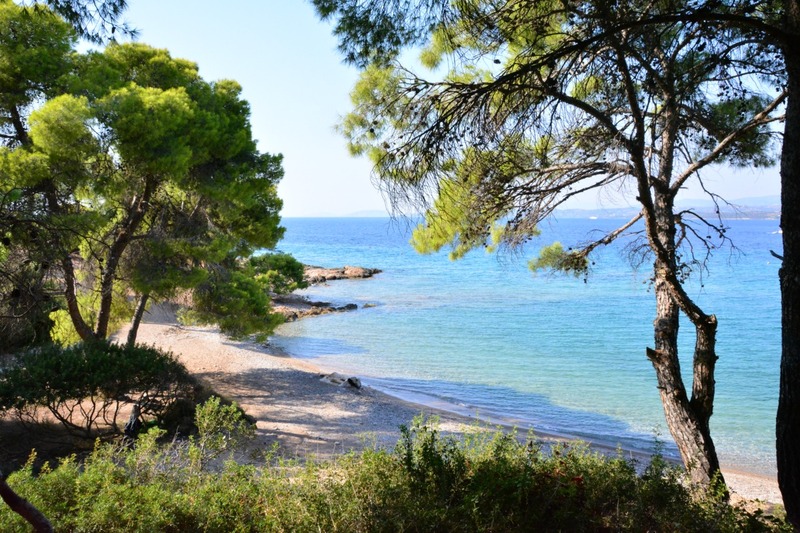 Biking to beaches on Spetses island. Spetses is a short ferry ride from Athens. 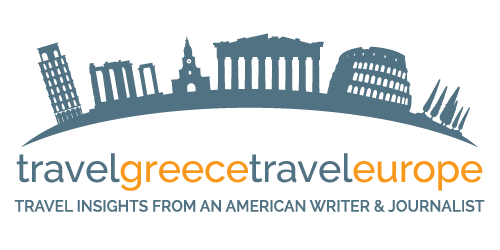 That sums up my favorite recommendations for a great day trip from Athens. In about a two-hour drive or one hour ferry ride you can make it to a spectacular destination so you can say you’ve seen more of Greece. 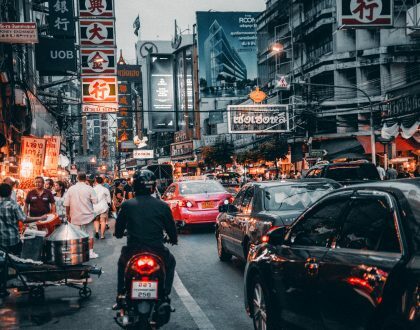 If you have more time, look into hotels around each destination so you can either drive to more than one town or plan to hop on a ferry to more than one Saronic island.